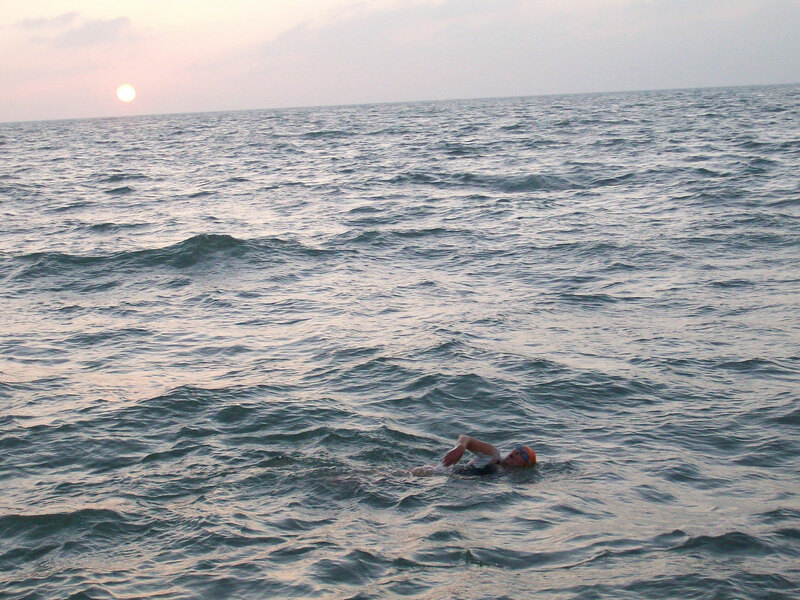 The weather is amazing – there is one swim after the other. Today our pilot is out with position no 2 on Anastasia, the two-way swim, they just missed the cap and the current is carrying them a little off, but they might land soon. The forecast is looking good until the 30th – enough time to get us off, hopefully. Air temperature is dropping a bit, near Calais at night down to 10-12°C, but the water is still around 17°C. Zuzka is fighting a cold, successfully it seems, and Viktoria’s inflamed ear is pretty fine now. We are trying not to do anyting foolish, eat a lot, sleep a lot, train a little – the typical ‘triathlon’ programme. And of course some meditation and prayers for the good weather to stay – for all the swimmers on this tide as well as the left-over ones from earlier tides! Thanks for all the good wishes from so many parts of the world! 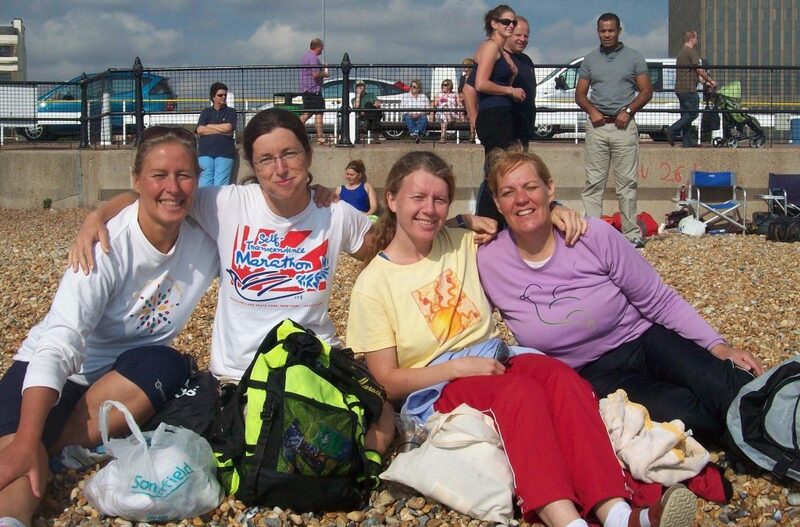 Taking the Euroline bus to Dover at midnight, arriving in the morning – looking forward to that first icy dip in Dover harbour on Saturday and meeting the rest of our 4 person relay team! Weather seems to be improving, Lisa and Chloe are hoping to do their double attempts on the spring tide Sunday/Monday after the whole last tide was blown out by the weather. My training has been moderate – 2 hours lake (beautiful crisp early September morning swim with sun glitters dancing on the ripples and hardly a soul around) on Saturday, 3 hours in the pool on overcast on Sunday (felt colder, but still 21°C), last day for the unheated pool, with a big cramp in my right calf towards the end! Nutrition has not been too careful this year. Then 1 hours swims in the heated pool (27°C) and lots of cold showers. Our window officially opens on the 24th (till Oct. 1st). With no swims last tide I suppose even if the 23rd is swimmable, there will be other swimmers still waiting. Our boat Anastasia can be followed by satellite tracker. We’ll be staying again at Varne Ridge with internet access and all.